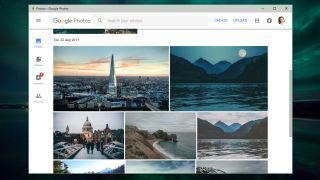 Good news for shutterbugs – Google Photos is now available as a Progressive Web App (PWA), meaning you can add it to your desktop or your phone's home screen. Provided you have Chrome installed on your device, the PWA will run like any native app, without the need to open the browser. To add the new Google Photos PWA to your desktop, visit the Google Photos site in Chrome, click the menu button on the top right, go to 'More tools' and select 'Install Google Photos'. If you can't see that option, you'll need to visit chrome://flags, search for 'Enable app banners', choose 'Enable' from the drop-down menu and then restart your browser. To add the PWA to your phone's homescreen, launch Chrome, go to the Chrome website, tap the browser's menu button and select 'Add to home screen'. Bear in mind that he PWA doesn't replace the regular Google Photos mobile app. The Google Photos PWA works just like the website, letting you upload, edit and share photos, organize them into albums, add tags, and create collages and animations. You won't receive push notifications though, and it's not accessible offline. Google recently terminated both its Google Drive desktop app and the Google Photos Desktop Uploader, urging users to switch to Backup & Sync instead. Although uploading snaps with the new PWA on your desktop is easy enough, it doesn't automate the process like Backup & Sync, so keen photographers will want to keep both apps installed.